JOB DESCRIPTION: Responsible for the safety and security of personnel, Guests, building facility, grounds and all other property belonging to the property or its guests. Protect property against theft, vandalism, fire and illegal entry using proper procedures as determined by Security Manager. Reports mechanical failure to appropriate personnel. Witnesses and assist in money counting procedures with Head Cashier, Bookkeeper, and other designated personnel. Has access to vault room, safe, alarm systems, and limited access areas to ensure protection of monies. Documents and reports all pertinent information to the Security Manager. Reports and assists in all medical emergency situations. Ability to think and work fast in emergency situations. 650 Security Guard in White Oak Casino Security Dept., Deer River, Mn. 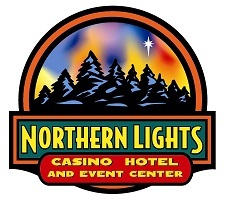 650 Security Guard in Northern Lights Casino Security Dept., Walker, Mn.